ICI has seen a surge in retail construction in the Chicago area in 2015. From new construction big box stores, to work within area malls, to intricate renovations for individually-owned businesses; our portfolio of work has steadily increased throughout the year. 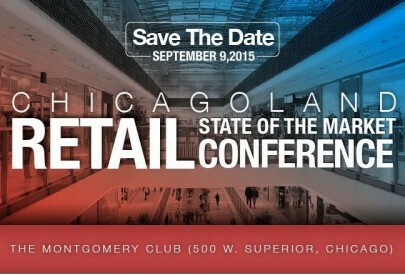 As a result, ICI's VP of Operations Tim Jackson, was asked to provide a firsthand account of the current trends he is seeing in the marketplace at the Illinois Real Estate Journal's Chicagoland Retail State of the Market Conference on September 9, 2015. Join us and find out Tim's view on where the retail market will head, how it will impact construction costs and strategies for those planning on developing new property. Other speakers include Greg Kirsch, Newmark Grubb Knight Frank; Marci Carl, Bucksbaum Retail Properties; Daniel Rosenberg, Cohen Financial; Chris Ressa, DLC Management Corp.; Dan Tausk, Mid-America Real Estate Corporation and Anthony Campagni with RKF. Interested in joining us at the conference? Register here.